GRAND HAVEN, Mich. – A handful of Michigan livestock producers who have more manure on their hands than they know what to do with are trying a new approach. Ottawa County Extension agent Charles Gould, part of the Michigan State University nutrient management team, is experimenting with an attempt to broker all that extra manure over the Internet. The initial motivation in creating a manure exchange was to assist producers in his own county in finding new ways to handle their manure problems. But the Michigan Manure Resources Network Manure Sellers List Web site now has a life of its own outside of Gould’s immediate area. The site, which allows any producer to add his own listing advertising available manure, now includes listings from 16 Michigan counties, stretching from the Upper Peninsula between lakes Superior and Michigan, to the heavily populated southern portion of the state. Many of those who have posted listings have smaller amounts of horse manure to dispose of, anywhere from 1 ton to 500 tons. But there are also a dozen listings posted by larger producers with thousands of tons of turkey, chicken, beef, swine, and sheep manure. They are also looking for a buyer, or are offering it free and are willing to haul and to spread. Gould is located between Grand Rapids and Kalamazoo, where urban growth has squeezed out much of the agricultural land. The land left in production is now so saturated with phosphorous further land applications of manure is nearly impossible. Although the standards for phosphorous application have been around for 12 years, Gould said, there has been pressure from the EPA to limit further land application in his county. If producers are going to meet good agronomic standards, he said, they can no longer spread the manure their livestock produces on the land in this area. 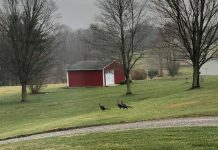 Area producers who have listed manure include one of the largest turkey farms in the state that has 5,000 tons of turkey manure, and three layer operations that, between them, are dealing with 12,000 tons of manure. “What we are hoping to be able to do is to link all this manure with people who can use it,” Gould said. There are areas of Michigan that don’t have the kind of animal concentration that Ottawa County and the southeast corner of the state have. Crop farmers who do not produce livestock should be able to make good use of the available manure, especially this year with the high cost of nitrogen fertilizer, he said. Gould hoped that commercial composters would buy some of the excess manure. 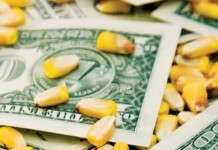 Up to this point, however, his spot checks of those producers who have added listings to the site indicate that most of the calls they are getting are from crop farmers. Gould also regards organic growers, nursery growers, landscapers, and homeowners as possible customers. The problems being encountered by the Michigan producers are far from unique. 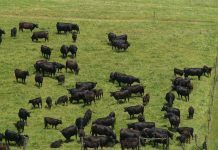 In both Ohio and Pennsylvania, areas with a heavy concentration of livestock are finding it harder to find enough land that is not already saturated with phosphorous. In Ohio’s Tuscarawas Count, County Extension Agent Chris Zoller said the problem has become intense, with most fields already too high in phosphorous for any further application. They have been trying various methods of treating the manure, including belt pressing technology to remove the chemicals and allow the water to be irrigated back over crops. But in the solid form, he said nitrogen is so high that it can burn crops. In most cases, Zoller said hauling manure is so expensive that most producers can’t afford it. Beyond three or four miles, he said, most producers think it’s too expensive. 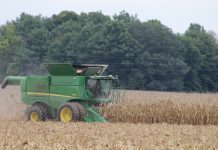 In Wayne County, producers are also finding it more difficult to find land where manure can be spread, said agent Tom Noyes. Some are hauling manure five and six miles to find fields. 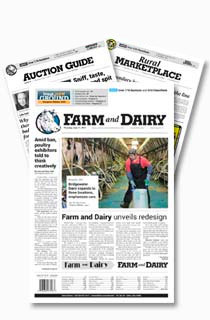 He said an answer might be found in a manure exchange – dairy farmers working out a deal with crop framers who are willing to take excess manure. He recommends all producers who use the Michigan Web site have a manure analysis performed so they can accurately list the nitrogen and phosphorous the user will be applying. From the number of hits the site has received and the e-mail he has received, Gould knows people are checking the site. His spot calls indicate some sales have also been made. While he admits he does not see this as a permanent solution to a growing problem, Gould said he does see it as a way to help, in the short term, spread some of that manure around.